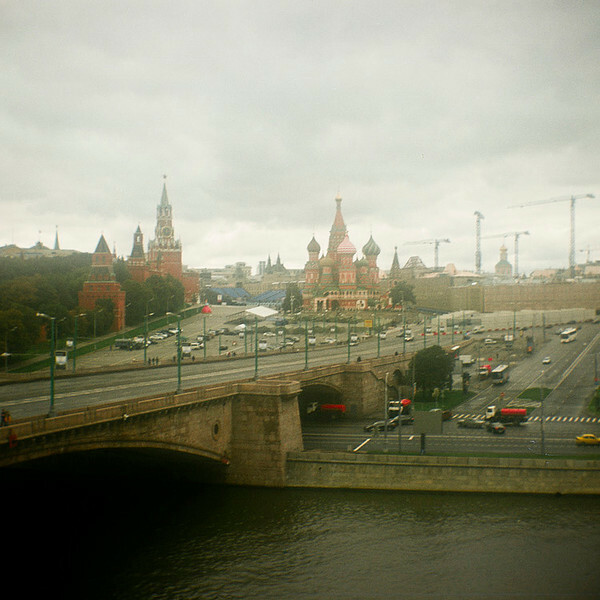 MoscowRussia. Bridge. Red Square. St. Basil's Cathedral. Kodak Brownie Hawkeye. 120mm film.